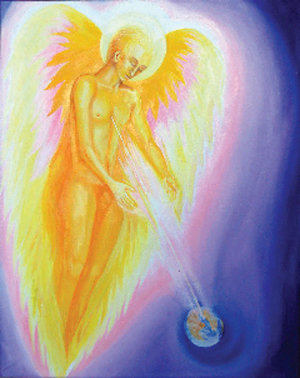 Archangel Uriel, Guardian of the Earth, is the first angel I ever saw, and he profoundly changed my way of painting. 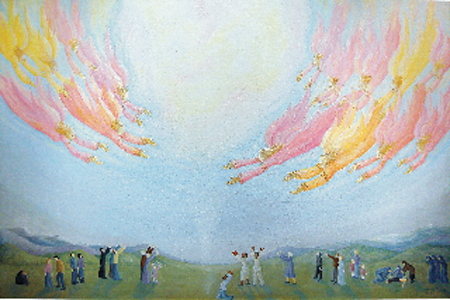 I was intrigued by the idea of how different people might react to the sight of a host of angels: some ecstatic, some curious, some so absorbed in their own anger or grief that they don't notice them at all. 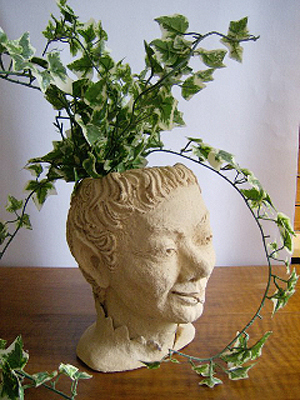 This started out as a straightforward portrait head, but the model was so elfin in appearance that I decided to exaggerate that quality - much more fun! 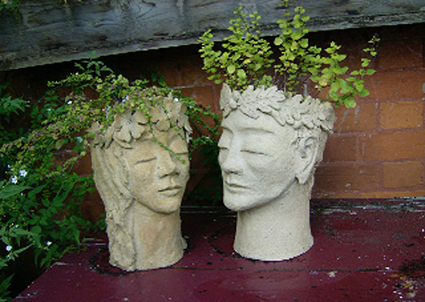 I love to explore the fairy world, and the idea of growing plants to form the "hair" of these two magical beings rather pleased me. 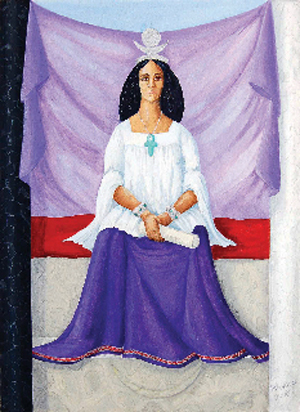 This is one of a series of paintings relating to the Major Arcana of the Tarot. 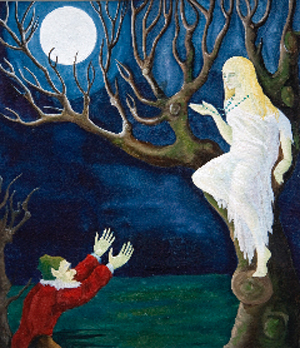 This painting was inspired by a poem of the same name by Harold Monro - the goblin is jealous of the nymph's green beads. I learned this poem when I was about 9 years old and had forgotten it, and was so delighted when I found it again in an anthology recently that I felt moved to crete a painting around it.